Camping Key Europe is charged with plenty of discounts and offers both on a local and national level. With Camping Key Europe, you get access to accommodation discounts at more than 2 500 campsites in both Sweden and Europe. When buying Camping Key Europe, you get a cost-free accident and liability insurance that protects you and your family in the event of an accident. 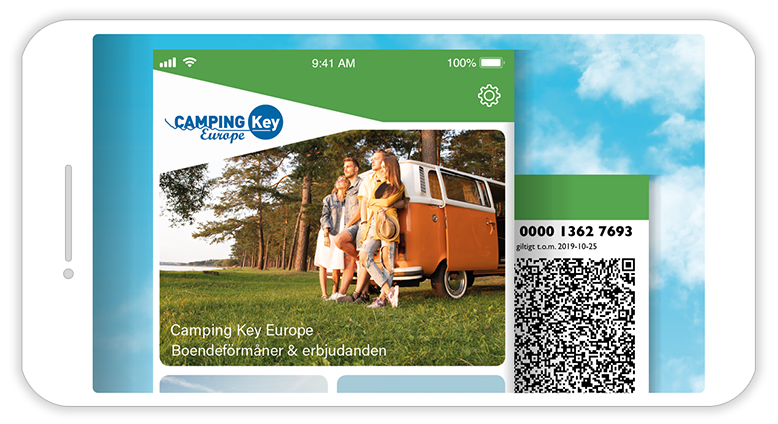 Once you have purchased Camping Key Europe you activate it quickly and easily in the app My Camping Key, which you download from App Store or Google Play. Get access to extra beneficial discounts from selected partners to us with Camping Key Europe. To claim a discount, display your Camping Key Europe either while visiting or placing an order from one of our partners – they will take care of the rest! With Camping Key Europe, you get a Preem gift card charged with SEK 150 if you sign up for a Preem MasterCard. You also get a 20 percent discount on car wash and washer fluid for three months. Get a SEK 75 discount when inspecting your motorhome or caravan and a SEK 125 discount when inspecting your passenger car and caravan together. With Camping Key Europe, you get a discount when buying tickets to this year’s Diggiloo summer tour. You get SEK 100 in discount on parquet seats and SEK 60 on a seat in the green as well as free entrance for two children up to 14 years old on an adult’s ticket. Get a 10% discount in the restaurant upon displaying your Camping Key Europe at a Rasta service station. Get a SEK 500 value check usable when you repair or service either your car, motorhome or caravan for at least SEK 2 500 on one occasion. In collaboration with Continental Tires, Däckteam offers a 19 percent discount when you purchase four Continental tires of your choosing, free road assistance for three years is included. With Camping Key Europe, your holiday becomes more beneficial than ever! An accident and liability insurance that protects you and your family in the event of an accident. With Camping Key Europe, your holiday becomes more economical, more convenient and more secure. 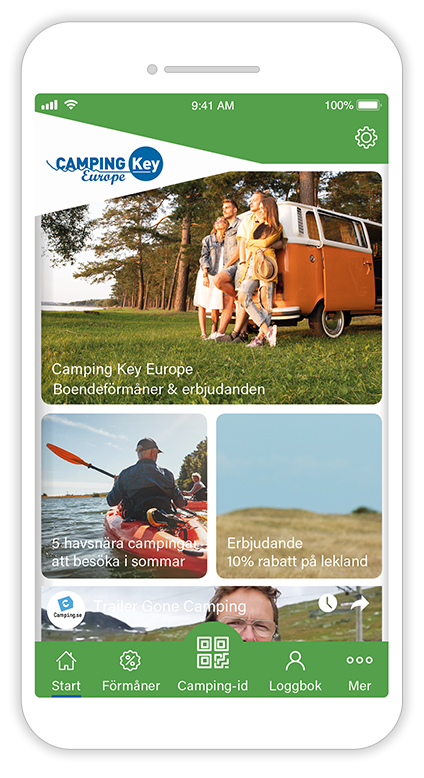 Camping Key Europe can be used in both Sweden and Europe and is valid for 12 months from the date of purchase. Camping Key Europe is a European collaboration between consumer organizations and campsite representatives. In Sweden, Camping Key Europe is sold through SCR Swedish Camping, which is the industry association for Sweden’s campsites. SCR Swedish Camping works to develop and improve the holiday experience at Swedish campsites.